Traffic and conversions remain the most important metric to measure business success online. Healthy traffic trends suggest that people are seeking out the brand, while strong conversions indicate that people have been convinced to take action. The second has always been a challenge for business. According to a 2016 Econsultancy study, just around 22% of businesses are satisfied with the conversation rates achieved by them. Numerous digital tools and strategies are being introduced to boost the performance of websites, with the latest one being Artificial Intelligence-backed chatbots. Handling Customer anxiety during purchase is core to ensuring high conversion rates. It’s understandable for customers to have doubts and questions before they commit to a purchase. How a business deals with this often decides whether an interested visitor is converted into a customer. Engaging with customers to offer intuitive support at various stages of the customer journey, is a sure-fire way to boost sales conversions. Give product demonstrations using video chats : Video chats are a great substitute to real store environment as agents can discuss product features or uses live with customers. This removes any questions customers may have and reassures them regarding the purchase. Assist in transactions with cobrowsing : Customers may need help with certain aspects of online transactions like filling in forms or carrying out a specific process. Using cobrowser an agent can step into the session in a secure manner and help out. 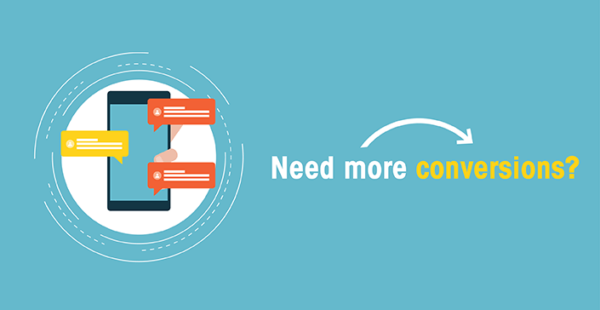 Resolve doubts or queries instantly with live responses : Customer often have the need for additional information while browsing a site like availability of a product or find alternatives. Live customer agents can engage with the customer to answer these questions and also use it as an opportunity to cross-sell or up-sell. Offer personalized support using video chats : Video chats are the best way to include a personal touch to customer interactions as it offers face-to-face contact even in remote interactions. The tools are browser-based which makes them easy-to-use and easily accessible.